Workplace safety is important. 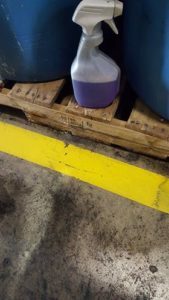 Mechanics, in particular, face a number of safety hazards due to the heavy equipment and chemicals they use on a daily basis. One of the most dangerous places in a mechanic shop is the floor. 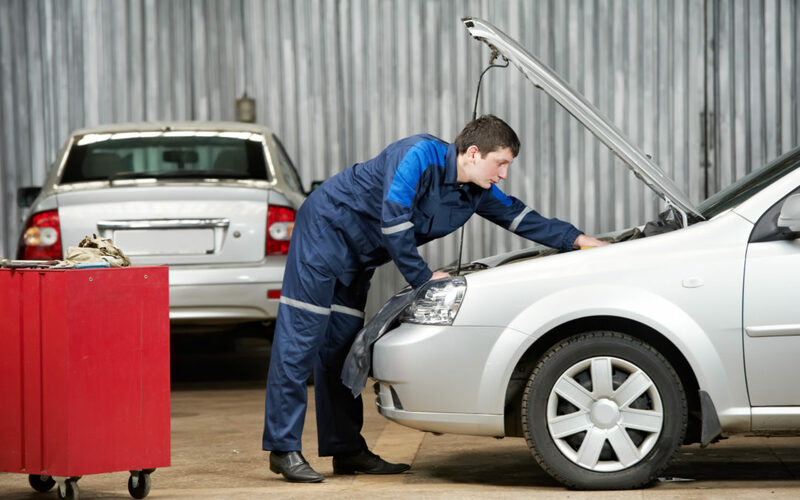 Changing oil, transmission fluid, and many other tasks performed by mechanics involve slippery and greasy fluids that often leave a nasty mess on the ground and on the tools they’re using. 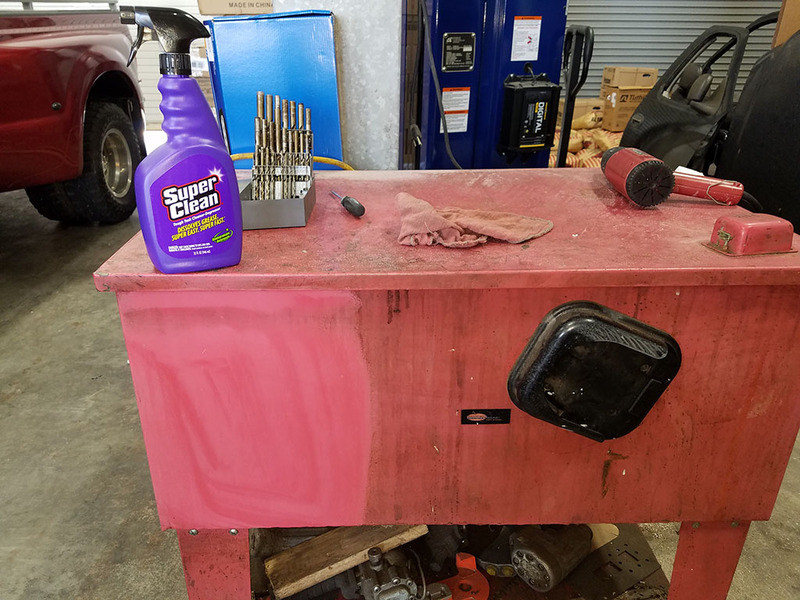 SuperClean Cleaner-Degreaser has been in mechanic shops across the nation to keep them clean and increase workplace safety for decades. SuperFan Travis Humphrey sent us some photos to show how and why they use SuperClean in the shop where he works. The first shows where safety lines were hidden under layers of oil and grime. After spraying some SuperClean on the floor and mopping it up, you can see that SuperClean has removed the grime leaving the vibrant yellow line far easier to see. A quick wipe-down of this safety helmet shows how dirty those helmets get and how keeping them clean makes it easier for others to see you. 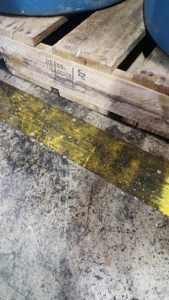 Take a look at this safety hose – when it’s dirty, it can be difficult to see against a dirty shop floor. But after a quick wipedown with our degreaser, you won’t be able to miss it. 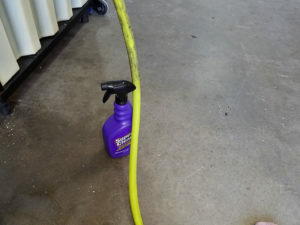 Another SuperFan sent in photos of commonly used (and therefore dirty) tools and equipment that have been SuperCleaned. Now they are easier to see and less likely to be dropped, saving the mechanics time and possible injury during the workday. 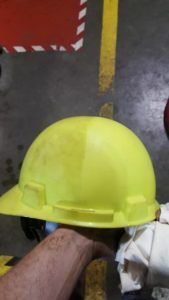 SuperClean in your workplace saves you time and money, while making your environment safer! Super Easy. Super Fast.